On-vehicle power offers a number of benefits and is suitable for many vehicles and applications. But which is best for your business? Paul Smith, Commercial Manager at Winton, discusses the considerations when it comes to on- vehicle power solutions. On-vehicle power is a fuel-efficient, low-noise and convenient option for mobile technicians, when going from site to site. Systems can provide mobile compressed air, electric and hydraulic power and high-pressure water whilst delivering improved vehicle utilisation and lower exhaust emissions, with a model available to suit each type of commercial vehicle and business. These systems are designed for a wide variety of applications, so first and foremost you must consider what the system will be used for; whether it is for the operation of road drills, breakers, hand tools, site lighting or mobile tyre changing equipment. From there, you will know what power solution you require. It’s also vital to consider which systems are available for a vehicle, and the level of power which will be required to operate your equipment. With this in mind, we’ve put together a brief guide to the different on-vehicle power solutions on the market, and how they can benefit your business. An engine mounted system harnesses the power of your vehicle’s engine to provide a safe source of compressed air, electric or hydraulic power. Using a tried and tested electromagnetic clutch to drive compressed air and hydraulic FWD and RWD power solutions, this system provides a lightweight and flexible option, and can often be installed on vehicles with or without air conditioning. Aside from the general benefits of on- vehicle power (no need to carry noisy and cumbersome generators or compressors in vehicle load space, no need for fuel supply, quiet operation etc. ), these systems have several specific plus points. For example, they cost less than underfloor systems with similar outputs, they are lightweight, and they can be supplied with secondary inverters to provide power up to 4kVA. System engagement is controlled from the vehicle cab and/or load area and also includes a number of safety features. Furthermore, Mattei compressors are standard across all Winton on-vehicle power products, meaning users can expect high quality compressed air – in these models delivering up to 12 bar. systems, for example, can deliver water pressure at up to 250 bar at a flow rate of up to 85L per minute, ideal for jetting, firefighting and drainage work. Equally, they can be used for hydraulic drive solutions, and offer up to 200L per minute, perfect for hydraulic cranes, pumps and generators, and can supply compressed air up to 12 bar. 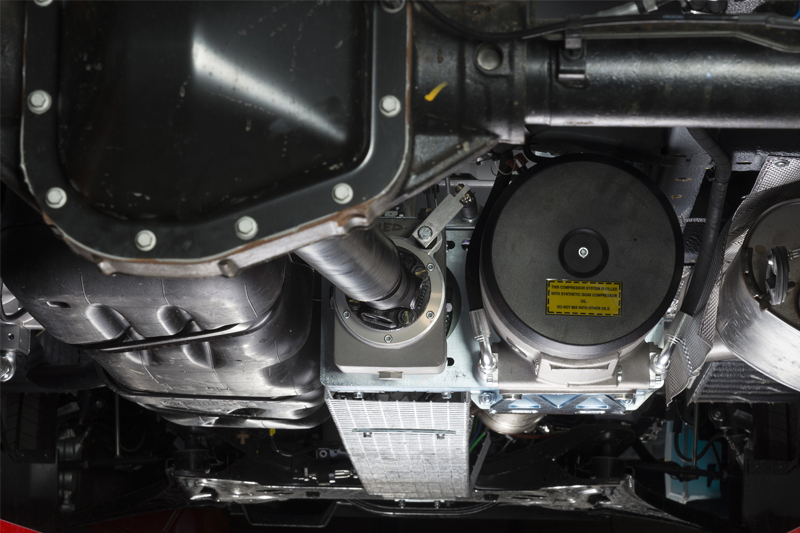 In certain circumstances, and for certain applications, a bespoke on-vehicle power solution is required. At Winton, we give you complete control over the specification and full system design capability, so we can create the perfect option for you. These can be supplied with 110V/240V power at up to 60kVA to operate lights, tools, welfare equipment and site equipment/plant. There are many options available when designing a bespoke system, which means that even highly specialised applications, such as water pumping with foam suppression, concrete pumping and emergency service vehicle equipment, can be catered for. Finally, when it comes to choosing any on-vehicle power system, we recommend comparing life cycle costs (including fuel consumption) and the service offering.